Support, assistance and straightforward assistance for families that receive the shock diagnosis "your child has a heart disease" - that's what the association "Herzkinder Österreich" offers. Parents and siblings find advice and help here in regards to all non-medical concerns, exchange experiences and gain some distance from everyday life with the disease by attending organised activities. 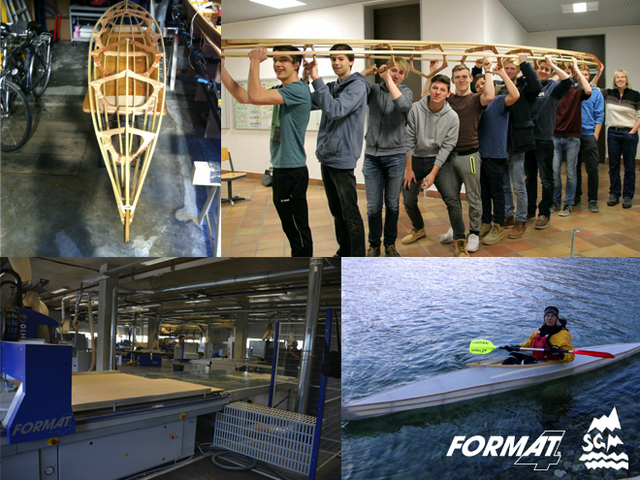 The proud sum of 7,951 Euros - a new record amount of the yearly fund-raiser - was collected by the staff of the family owned business Felder Group in Hall, as well as doubled and rounded up by management. 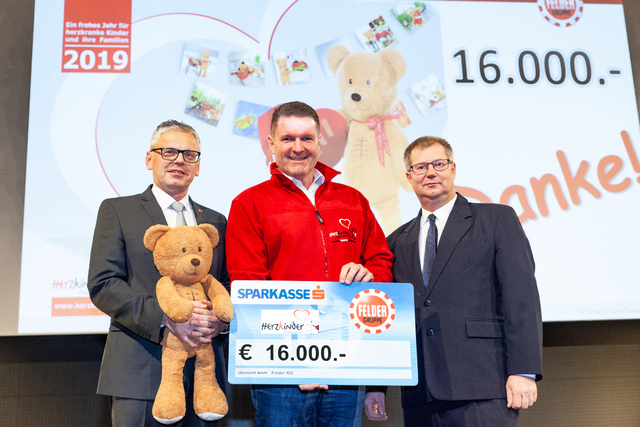 Markus Rainer from the "Austrian Child Sponsorship", a partner of the association "Herzkinder Österreich", was able to accept the check for 16,000,- Euros. "A donation at this level is something very special, we thank the Felder employees and the Felder family for this great support", Mr. Rainer of "Herzkindern" expressed his appreciation for the great willingness to donate. 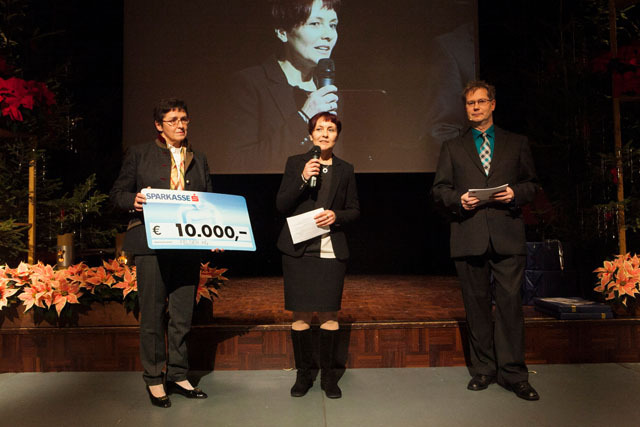 Caption: on behalf of the Felder Group, Martin Rainer and Karl Binder (left and right) hand over the check to Markus Rainer of the Austrian Child Sponsorship (centre).